The shoulder is the most mobile joint in the human body. The joint includes four tendons that hold muscle to bone. Together, these four "rotator cuff" tendons stabilize the upper arm bone to the shoulder socket and allow a wide range of motion in the shoulder. Shoulder pain is an extremely common complaint, and there are many common causes of this problem. It is important to make an accurate diagnosis of the cause of your symptoms so that appropriate treatment can be directed at the cause. If you are unsure of the cause of your shoulder pain, or if you do not know the specific treatment recommendations for your condition, you should seek medical attention. Treatment of these conditions must be directed at the specific cause of your problem. Bursitis: The most common diagnosis in patients with shoulder pain is bursitis or tendonitis of the rotator cuff. Bursitis is an inflammation of a fluid-filled sac, or bursa that lies between tendon and skin or between tendon and bone. Normally a bursa protects the joint and helps make movement more fluid. Rotator Cuff Tendonitis: Tendonitis is when tendons become compressed under the rigid bony arch of the shoulder. The compressed tendons become inflamed or damaged and cause pain. This can occur from general wear and tear, as you get older, an activity that requires constant shoulder use like baseball pitching, or an injury. Rotator Cuff Tear: A Rotator cuff tear occurs when the tendons of the rotator cuff separate from the bone. Surgery is sometimes necessary for this condition. Frozen Shoulder: Also called 'adhesive capsulitis,' this is a common condition that leads to stiffness of the joint. Physical therapy and stretching are extremely important aspects for treatment. Calcific Tendonitis: Calcific tendonitis is a condition of calcium deposits within a tendon -- most commonly within the rotator cuff tendons. Treatment of calcific tendonitis depends on the extent of symptoms. Labral Tear: A Bankart lesion is a type of labral tear most commonly due to dislocation of the joint. Bankart lesions cause problems of persistent instability. Shoulder Instability: Instability is a problem that causes a loose joint. Instability can be caused by a traumatic injury (dislocation), or may be a developed condition. Shoulder Dislocation: A dislocation is an injury that occurs when the top of the arm bone becomes disconnected from the scapula. Shoulder Separation: Also called an AC separation, these injuries are the result of a disruption of the acromioclavicular joint. This is a very different injury from a dislocation! SLAP Lesion: The SLAP lesion is also a type of labral tear. The most common cause is a fall onto an outstretched hand. Biceps Tendon Rupture: A proximal biceps tendon rupture occurs when the tendon of the biceps muscle ruptures near the joint. How can chiropractic help my shoulder pain? The treatment of shoulder pain depends entirely on the cause of the problem. Therefore, it is of utmost importance that you understand the cause of your symptoms before embarking on a treatment program. If you are unsure of your diagnosis, or the severity of your condition, you should seek medical advice before beginning any treatment. Your chiropractor looks at your overall health, focusing not only on your shoulder, but also on your lifestyle, such as diet and amount of daily exercise. This integrated approach helps determine the best treatment for your shoulder pain. To help identify the cause of your problem, you and your chiropractor will discuss your symptoms and previous injuries, your family health history, and your lifestyle, including recreational and work related physical activities. Your chiropractor is uniquely qualified to restore the health of your spine and neck. Special chiropractic techniques may relieve the pressure that is causing your shoulder pain. After locating the misaligned vertebrae in your neck, your chiropractor manually applies gentle pressure and repositions the vertebrae. These adjustments can help restore alignment, improve mobility, and relieve pain and stiffness. Your chiropractor may recommend other types of treatment for relieving your shoulder pain. These may include moist heat, ice packs, massage, traction, or stretching and strengthening exercises. 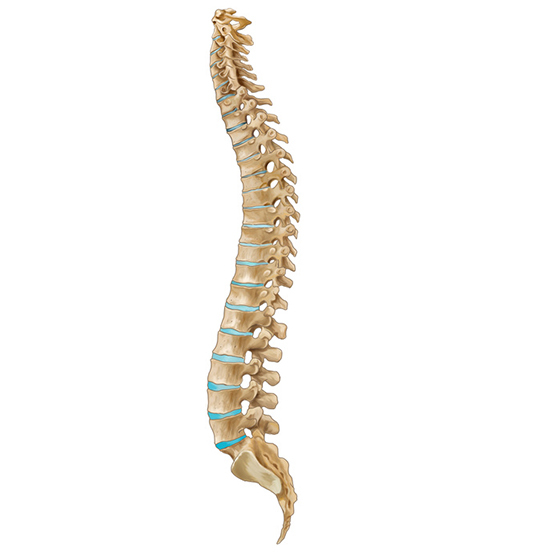 Your chiropractor can discuss these with you. The elbow is a hinge and pivot joint that allows for bending, extension, and rotation the arm. It connects the humerus to the radius and ulna with ligaments, tendons, and muscles. Surprisingly, over 12 muscles cross over the elbow beside the bicep and triceps. The two bones of the forearm create a hinge by fitting into the upper arm bone that is attached by tendons. The large bump behind the elbow joint (olecranon or “funny bone”) forms the bony point of the elbow and connects with the triceps muscle. Most people experience some form of an elbow injury. It might have been minor, like the numbness or pain of bumping your “funny bone”, or it could be a more serious injury from sustained overuse, like bursitis. Injuries from contact sports or repetitive work related tasks are usually the cause of these more serious elbow ailments. Acute injuries can be sudden and severe. They can be caused by a direct blow, penetrating injury, fall, or by twisting, jamming, or bending a limb abnormally. Bruising and swelling usually develops from the injury, along with elbow pain. Fractures and dislocations, muscle strains, sprain, and injuries to joints and ligaments are some types of acute elbow injuries. When too much stress is placed on the elbow joint or muscle tissues, a more serious type of elbow injury occurs. Bursitis is the inflammation of the bursa, a fluid filled sac between joints. When the bursa inflames, your elbow will swell and ache. Olecranon bursitis appears as swelling in the “funny bone”. In traumatic cases you will notice redness due to the inflammation or an infection. Heat and hardness of the affected area will accompany an infection in the bursa. If an infection is suspected, consult your doctor immediately for testing and treatment. Some people who have been diagnosed with gout or rheumatoid arthritis may be afflicted with olecranon bursitis. A pinched nerve or infection will also cause severe swelling, elbow pain, or other symptoms. A more serious elbow ailment may be osteoarthritis, which is when the cartilage wears down and the bones rub directly against each other. Epicondylitis, or tennis elbow, is the most common syndrome affecting the muscle and soft tissue of the elbow and is caused by inflammation of the soft tissues. This is usually a result of overuse or repetitive activities. The overuse may occur while playing tennis, golfing, throwing, lifting, swimming, carpentry, or even plumbing. Forearm and elbow pain are common and it is usually aggravated by extension and flexion of the wrist. This can be treated with hot and cold therapy or even an arm support will relieve the pressure. Ulnar nerve entrapment occurs when the nerve connected to the ulna is pinched. Pain and numbness will extend from the elbow to the little finger and middle of the hand. You may also experience burning or tingling when the elbow is flexed, but nerve tests are needed to confirm the diagnosis. Limiting the mobility of the elbow will decrease the pain but in severe cases, surgery is required to alleviate the pinch. Rest is the most effective treatment because elbow injuries are commonly caused by overuse. Limited usage will alleviate the problem. Immobilizing the elbow with a splint will help absorb shock and rest the muscles and tendons. Some doctors will recommend heat therapy to increase circulation and accelerate healing. Cold therapy usually follows as it reduces swelling and pain. Sometimes your chiropractor will use electro-stimulation to increase the healing process between hot and cold treatments. Cortisone injections will alleviate elbow pain and swelling but almost always deteriorate the ligaments after repetitive doses. Another form of treatment is similar to vaccinations where your doctor will inject an “artificial injury” to stimulate the cells to repair themselves. In any case surgery should be the last resort. In just about every elbow injury, hot and cold therapy along with immobilization of the joint will alleviate the pain (joint pain relief). However, if not treated, the tendons can fray and will eventually detach from the elbow, requiring surgical repair. You should never continue strenuous activities if the pain persists. Instead consult your Chiropractor immediately to determine the cause and best treatment for your own joint pain relief. Leg and Hip pain are most commonly caused by subluxation of the spine. This can irritate the nerves causing pain and muscle spasms. Your hips and legs support the entire body and give you strength, stability, flexibility, and mobility. For this reason there is a high amount of stress put on these body parts. Hip pain can sometimes be confused with back ache because of where the spine connects with the pelvis. The hip is a ball and socket joint where the femur (thighbone) connects with the pelvis (hipbone). Cartilage separates the two bones and acts as a cushion to prevent the bones from rubbing against each other. When that cartilage wears out, pain and swelling occur, causing hip pain. This is more commonly known as arthritis. Sitting for extended periods or poor posture can result in a slipped or ruptured disc causing pain in the legs and hips. The intervertebral disc develops small cracks allowing the soft nucleus to leak out. If the disc pushes on the sensitive tissues and creates pain, it is referred to as a slipped disc. The disc pressing against the spinal nerve causes sciatica, numbness and weakness in the legs. If the rupture is large enough but not managed correctly, surgery may be required to remove the herniated disc material. Sometimes pain occurs as result of a fracture or sprain. Normally fractures only happen in older people who fall and have osteoporosis. Usually there will be stiffness, swelling, numbness, and very limited mobility after a leg or hip fracture. Immediately consult a medical professional if you think that you have fractured your leg or hip. Sprains are less severe but should be examined by your doctor to prevent from injuring yourself further. There are three types of disease that can cause hip and leg problems: organic, mestatic and degenerative. The organic disease is a result of some structural change in body parts, such as the misalignment of the spine or a fracture. Mestatic disease is when cancerous cells attack the lower spine or the muscles of the legs and hips. Aseptic Necrosis is a mestatic disease and occurs when an insufficient amount of blood flows to the hip. It is more common with a previous injury or in people with sickle cell anemia. When this occurs in children it may be known as Perthes Disease. A degenerative disease occurs in older people who have spent their life lifting, bending, or have had serious injury to the lower region of the body. Osteoporosis is a degenerative disease. The bones, muscles, and nerve ending deteriorate causing pain and swelling. Your chiropractor will determine the cause of your leg and hip pain. Fractures or mestatic disease will result in being referred to another specialist, however most other ailments can be treated by spinal adjustments. Additionally your chiropractor will discuss exercises to rehabilitate and stabilize the injured and misaligned spinal structures. Diet, posture, and work habits, may be examined because true health will be achieved when the true causes are identified and corrected. © Dr Zhakir Ali Mowzer.